Yum! Simple, delicious and very easy. You can add more spices, flavours as you go along. 1 1/2 cups of cooked chickpeas or 1 can drained and rinsed. Place all these delicious ingredients together in a blender and pulse and blend until thick and creamy. Watch it now on my Instagram stories. We love ours served with wedges of lemon juice, more Pine Nuts and a drizzle of olive oil. Chickpeas are a great source of natural plant protein goodness, fibre, essential vitamins and minerals. 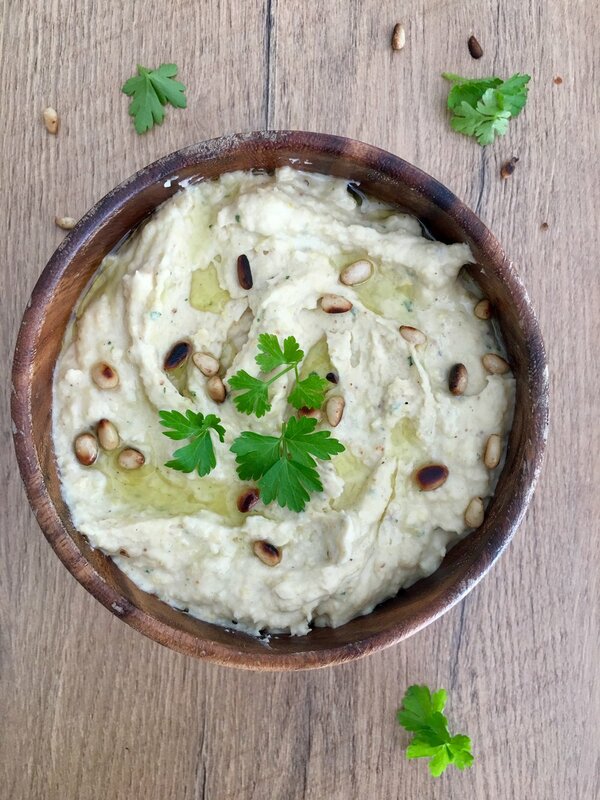 Tahini paste is loaded with minerals such as phosphorus, lecithin, magnesium, potassium and iron. It's one of the best sources of calcium out there! Not to mention it's high in vitamin E and vitamins B1, B2, B3, B5 and B15. Enjoy!!!! I've got another two jars of hummus for the kids lunches this week.